BRUSSELS—European Union (EU) anti-fraud investigators suspect Greece and Hungary may have become the main European centers of a multi-million-euro scam involving imports of Chinese clothing and footwear. The Chinese regime may be taking advantage of its infrastructure projects there as part of its One Belt, One Road (also known as Belt and Road) initiative, according to the investigators. The large-scale fraud, which involves under-declaring the value of imported goods to pay lower duties and sales taxes, was first uncovered in Britain, where it had gone on for years, prompting the European Commission this year to demand that London pay 2.7 billion euros ($3.1 billion) in lost customs duties to the EU budget. 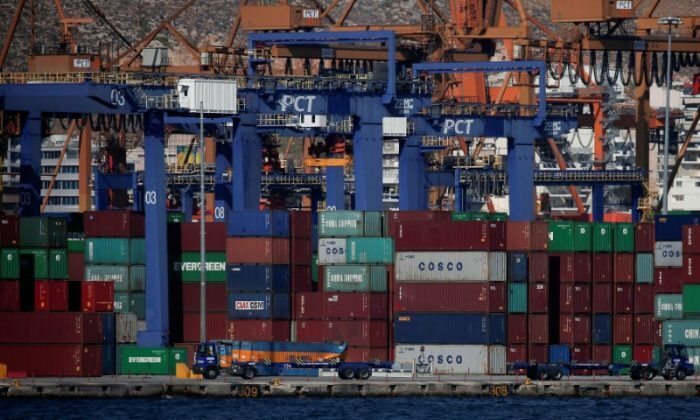 Officials at the EU anti-fraud agency OLAF said they now suspect the scam could have shifted to Hungary and to the port of Piraeus in Athens, which has been majority-owned by China’s state-owned firm, COSCO Shipping, since 2016. “We are worried about this,” OLAF’s director for investigations Ernesto Bianchi told a news conference in Brussels on June 6, adding that monitoring of import flows would be enhanced. Reuters exclusively reported in April that Italian authorities were investigating suspected import fraud by Chinese criminal gangs at the Piraeus port, the largest in Greece. China wants to transform the Greek port into its “gateway to Europe” as part of the $126 billion Belt and Road initiative, an effort to expand the Chinese regime’s geopolitical influence in Asia, Africa, and Europe. The regime touts the effort as a new Silk Road connecting trading partners. Under the Belt and Road plan, a fast rail and land route would connect Athens to the Hungarian capital, Budapest, across the Balkans. That same route could have been used by traffickers to move underpriced and undeclared Chinese goods to Hungary, investigators suspect. The British government is contesting that fraud occurred in UK ports. OLAF chief Nick Ilett said he expected the controversy with Britain would last “some time” and would probably need to be settled at the EU’s court of justice.